The flower is being made from my new EK retro flower punch, really glad that I’ve finally got the punch. On how to make the flower, there is a tutorial available over at Scrapbook Daisies forum. The idea of using negative space of the butterfly punch is such a good one that I must use it in my layout too. Thanks LG. 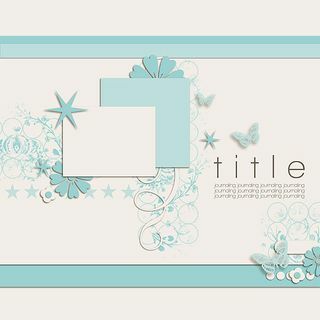 Using Scrapbook Daisies past kit – Echo Park life is good PP. Thanks for looking and I love your blog love! This is a beauty. I am so honored Hannie. I am so happy that I inspired you with this one. Love your take to the sketch!! !